Just one day of qualification fixtures remains before the Seamaster 2017 ITTF World Tour Platinum German Open officially begins with preliminary play-off round action scheduled for both the Men's Singles and Women's Singles tournaments on Thursday 9th November. Who is still in the hunt to reach the main event? Here's a quick summary of what's to come on the final day of qualifying in Magdeburg. João Monteiro has been handed a difficult task on the final day of the Men’s Singles qualifying tournament as the Portuguese player competes in the first round of preliminary action. Providing the opposition in the opening preliminary round is China’s Zhou Kai, who impressively finished above Kim Donghyun and Patrick Baum to claim top spot in Group 44 and will be keen to make it a third win in a row when he faces João Monteiro in the morning session. Another tie which could produce an exciting battle sees Hong Kong’s Ho Kwan Kit and Poland’s Jakub Dyjas meet in the upper half of the draw. Both enjoy a fast-approach to the game and with just two world rankings positions separating the players this match promises to entertain. Brazil’s Hugo Calderano awaits the victor in the second preliminary round. 10 Chinese representatives will compete in the sole preliminary play-off round which precedes the Women’s Singles competition as 28 contestants fight it out to achieve qualification for the main event. Li Xiaodan performed exceptionally well to secure first position in Group 29 and will require another spirited display in the preliminary stage where she goes head-to-head with former European champion Elizabeta Samara. 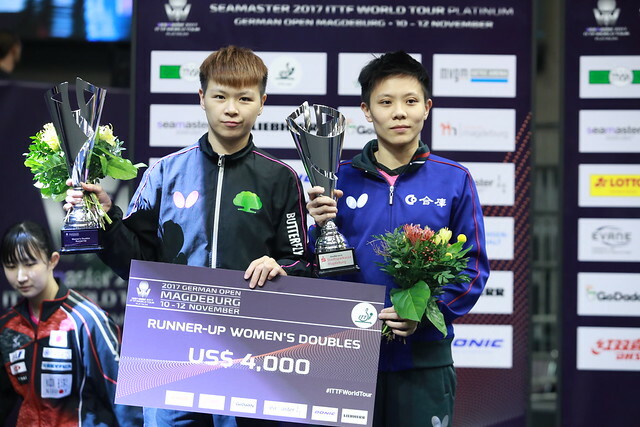 Japanese star Miyu Kato remains in the race to appear at the upcoming Seamaster 2017 ITTF World Tour Grand Finals, scheduled to take place in Astana, Kazakhstan but can she keep her chances of reaching the competition in tact by claiming an important win against China’s Liu Xi or will her campaign in Magdeburg be cut short? Elsewhere world no.27 Lee Ho Ching takes on Liu Jia, 34th, in what is expected to be a closely contested encounter and comeback queen Cheng Hsien-Tzu, who surprised Tie Yana in the group stage, will attempt to oust Saki Shibata from the competition. The two doubles events feature main draw action as round one gets underway and the first trophy presentation will be hosted in the evening following the conclusion of the Under 21 Men’s Singles and Under 21 Women’s Singles tournaments.